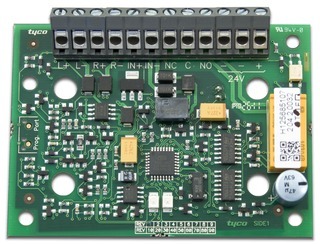 The new FC410TSM Door Control Module is designed to close a door in case of fire or fault event. Its monitored input provides the possibility to check if the door is really closed. It needs and external power supply and it’s possible to program the door automatic closing when the power supply or the communication with the panel is lost for more than 45 sec (±5 sec).